How Far is Concorde South Scape? Southscape is more than just a place to live. The Southscape has been designed to provide quality life, pleasure living & comfortable future. The locational advantage is omni present. It is located 2 kms from Hosur Road, the emerging IT hub in South Bangalore. South Scape apartments has everything that spells class.Concorde helps making your decision simple as we provide more than value for money. 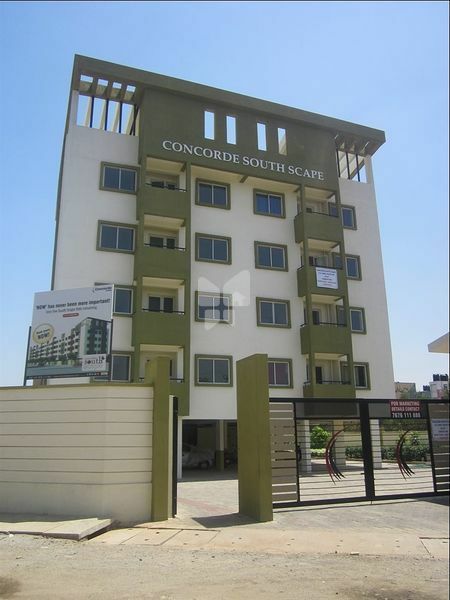 Concorde is a professionally managed group with proven capability in terms of completed projects. At every stage the company has ensured satisfaction to the customers with respect to the quality aspect, elements of project design and aesthetic values together with on time delivery. Modular Shutter with teak veneer, with good quality hinged and locks. Hard wood frame with modular shutter, with good quality hinged and locks. Flush shutters with Resin Coating. Vitrified tiles in kitchen, living / dining, bedrooms. Designer antiskid tiles fr floors and dado up t 7' ht. White EWC, wash basin medium size. Concealed Copper wiring. 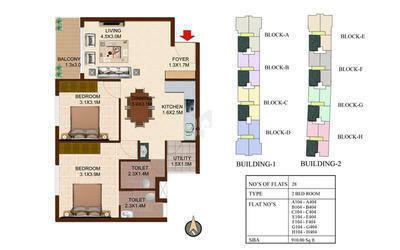 ISI wires, T.V.Point in living and bedrooms, Internet in bedrooms, AC point in Master bedroom. Generator back up for common areas & 500 watt for each flat. Underground drainage with Sewage Treatment Plant (STP). Water supply through Water Treatment Plant. Two coats of exterior emulsion paint. Sadarahalli stone 20mm for treads 10mrn fpr risers.